As the fourth biggest killer, and one of the main causes of disability in the UK, having a stroke is one of the greatest health challenges of our time. 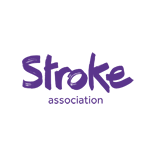 The Stroke Association is the UK’s leading charity dedicated to supporting stroke survivors. They fund research into finding new treatments and ways of preventing this life-threatening medical condition. Cards for Good Causes supports the Stroke Association and you can support them too. Discover the range of Stroke Association charity Christmas cards available online and in our pop-up Christmas shops across the country.